Meet local industry professionals and talk to the experts you need for your home. They are eager to talk to you about the projects on your list, and want to help you get them done! The show offers something for everyone, from cosmetic changes suitable for all homes, to large-scale renovations and real estate professionals. Join us at the Victoria Fall Home Expo the weekend of October 12-14, at Pearkes Community Centre located at 3100 Tillicum Road. 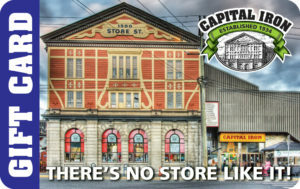 FREE ADMISSION all weekend, plus your chance to win several great prizes, including a $1,000 Gift Card to Capital Iron! Looking for information for Exhibitors? Click here to switch to the Victoria Fall Home Expo Exhibitor Information!